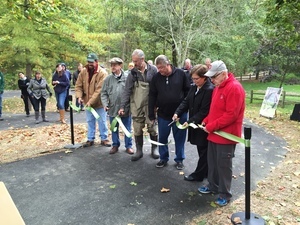 On October 3, MAD Scientist Associates, City of Westerville Parks & Recreation, and Ohio EPA came together with community members for the dedication and grand opening of the Spring Valley Greenway. 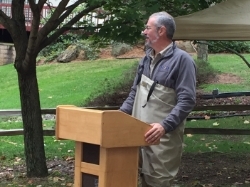 This event included a volunteer planting opportunity, invasives control, waterway education, stream exploration, and a wildflower giveaway. 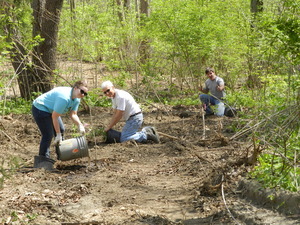 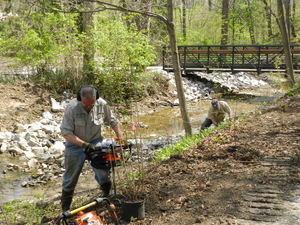 The City of Westerville received a grant from Ohio EPA to restore and enhance parts of the Spring Valley stream, a headwater tributary of Alum Creek. 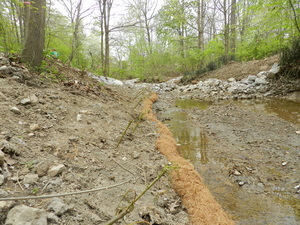 To prevent bank erosion, unnatural materials were used to "armor" the bank, which now need to be removed. 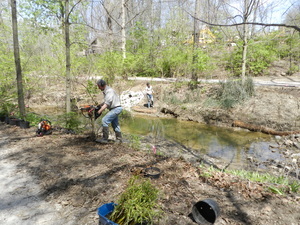 Within the project area, the stream will be restored to a more natural state for the benefit of water quality and in-stream habitat.